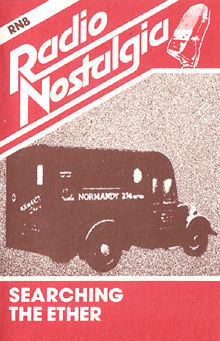 Long before the offshore commercial stations started broadcasting off the European coast in the late 1950’s commercial radio was beamed from the Continent as early as the 1930’s from stations like Poste Parisienne, Radio Normandy and Radio Luxembourg, until Hitler's invading forces closed them down. This fascinating story tracing the start of commercial radio in Europe you'll many famous voices on here plus the famous 'Ovaltineys' and other sponsored shows. This interesting story is narrated by Alan Thompson and Dave Howell. 80 minutes RN8 Searching the Ether.